Well, in my “other life” as half of the Lazy Cook Crazy Cook video blog (www.lazycookcrazycook.com), I’ve been busy roasting turkeys, and am laughing at the fact that I am indeed GOING to Turkey in June! It will be my second trip there (the first in 2001) and I am V excited to go on a Blue Cruise on a Turkish gulet (wooden sailboat-type affair that sleeps 12) for a week on the beautiful Turquoise Coast (if you ever wondered where the word Turquoise originated … that would be in, yes, Turkey – know as Turquoise by those elegant French – even though they were probably v. violent Huns back then). Anyway – I have scored the mother of all deals, spending 105K United miles for a round trip business class ticket on Turkish Air for the 12-hour flight from Chicago to Istanbul. Look forward to filling you, my readers (who number approximately 5 at this point; whatever. I’ll promote more on day.) in on more as the trip nears. Any and all suggestions for restaurants or what-not in Istanbul are welcome! Happy trails for now…. 1) The greater Miami is split into a number of “provinces,” if you will – South Beach, Coconut Grove, and Sunny Isles Beach, being three. If heading for Sunny Isles, FLY TO FORT LAUDERDALE! Much less expensive ($179 from Chicago, versus $325 to Miami) and only about 25 minutes away. 2) If heading to a resort with the name TRUMP in it: expect a lot of Europeans and Russians. Yes, this can add to the international cachet of a trip and provide endless opportunities for amazing people-watching on the beach and at the pool. Enough said! 3) Sunny Isles lacks dining options, but I will say the restaurant at the Trump Resort – Neomi’s – was phenomenal. 4) Head south to South Beach but beware: while there are a lot of restaurants, bars and clubs in South Beach, but I came up short on fabulous spots other than the famous Joe’s Stone Crab. For nearly 95 years, this place has been serving the famous stone crab claws with a mustard-mayonnaise sauce and if you like crab, they are fabulous! 5) Hit the pool bar at the Trump International after dinner! Bartender Geno knows how to have a good time! Geno makes sure you have a gooood time at the pool bar at the Trump International in Miami! The guy is a showman of gargantuan propotions – instigating group sing-alongs and conversation like a pro. He got everyone talking, laughing and singing to the greatest hits of the ’70s and ’80s! 6) Check out Timo’s, just across the street and a couple blocks south of the Trump (you can walk there). Yeah, it’s in a strip mall, but so what – go. It offers amazing food and fantastic, friendly, professional service. Black-and-white pizza (with ricotta, mozzarella and black truffles. Shut up: just order it.) Fabulous fish dishes, roasted duck, pastas – we ate there two nights in a row and loved it both times! Overall, I give Miami four stars for great weather, great people, great food and beautiful beaches. A great US get-away for sun, sand and good times with best friends! Viva Miami! Your–ami – whoever’s-ami! Yes, that’s my mission, and so far, I’m 4 down, only 76 to go! It all started innocently in January when I learned that my friend, ST, shares a passion for ethnic food. Five minutes later, we were off to Ras Dashen (www.rasdashenchicago.com) on the far north side of Chicago for some spicy Ethiopian food! It had been years since I had the sour-y, spongy injera bread that you pinch off to pick up bites of chicken, vegetables, lentils, exotic Ethiopian cheese (that was yogurt-like and helped quell the flames that were building from all the spice.) Neither sniffling, nor sweating nor sneezing from all hot fiery spices could keep me from stopping. DEEE-lish! Two weeks later, it was off to Masoulah (www.masoulah.biz) for Persian cuisine (aka known as Irani food). Armed with a bottle of hearty red, we enjoyed it with all manner of kebabs and amazing rice with a sort of crust from the cooking pot that is supposed to be a specialty – it was fantastic. If you go, order ANYTHING with walnut-pomegranate sauce – I’d put it on breakfast cereal if I had any – it’s that good. Next: up to Devon Avenue for authentic Indian at Hema’s Kitchen (www.hemaskitchen.net), a Chicago stalwart of Indian cuisine. Spicy chicken tikka and lamb korma were accompanied by mild jasmine rice. And of course, we ate too much bread (it’s so damn good). You don’t want to know about the Weight Watchers points in an Indian restaurant (all the ghee – yipes!) – so just go with a group and share. And prepare to smell up your entire office with leftovers for lunch the next day. Bonus: there’s a giant Indian supermarket across the street with exotic, Indian produce, more spices that you’d know what to do with, all sorts of breads – a grocery paradise. Our next adventure took us East – literally and figuratively – to Chinatown. Seven Treasures (www.seventreasures.com) for noodles. I’ve eaten Dim Sum in San Francisco, but can’t say I’d had real Chinese noodles. We had one in a chicken soup with shrimp dumpling and another dish with noodles and BBQ’ed pork, with bits of scrambled egg. And mini eggrolls. The homemade noodles were amazing and addictive. We ate and ate and our entire bill was $17. Bonus: gift shops galore, with a fantastic selection of Hello Kitty merchandise, not to mention kimonos, colorful rice paper umbrellas, all sorts of slippers and shoes, tea sets, 100 chopsticks for $1.25 – if you need it and it’s Chinese, you can probably find it in Chinatown. So, for the next 76 ethnic eating adventures, we get to choose from Cuban, Polish, Mexican, Argentinean, Latvian, Turkish, Greek, Moroccan, Spanish, German – oh, the list goes on. Chicago itself is a great training ground for ethnic eating. And if you start practicing at home – which does not require a plane ticket – you might have a leg up when you actually get to a foreign land and its native restaurants. Bon appetit! As a traveler, I can totally appreciate the need for more clean water around the world. This is World Water Week and without going anywhere except your fave resto or bar, you can help! 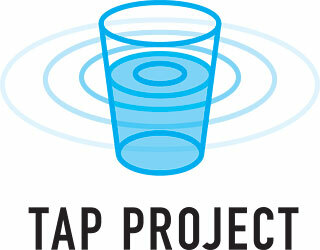 Go to www.tapproject.org and find Chicago restaurants — and restaurants in 20 other cities around the U.S. – who are raising money for UNICEF’s World Water Project this week. Do it. It’s a good thing. Spring Training = Training for Summer! ever since – baseball means something – it signals summer — all the joys of sunshine, hot weather, cold beer, carefree times, and you get a fast, suspenseful game to boot! And as a Cubs fan (if the wind is out of the north, I can hear the roar of the crowd from my living room), baseball is a particularly joyful, if sometimes frustrating pursuit. So off we went on a four-day weekend to Mesa, Arizona for three Cubs spring training games. I was dreaming of sunshine, hot weather, hot dogs, cold beer and … BASEBALL! Our destination: Mesa, AZ, and HoHoKam Park, winter home of the Chicago Cubs. Now if there’s one thing I observed, spring training ballparks are not in the most fabulous neighborhoods, but never mind that. The ballpark itself was delightful – intimate, clean, good food options – everything you could want! As far as hotels: Mesa is home to one chain after another: a thousand Marriott chains, La Quinta and others. We unpacked our bags at the Marriott Courtyard http://www.marriott.com/hotels/travel/phxme-courtyard-phoenix-mesa/, which was just fine — nice, updated rooms, nice staff, a courtyard pool area with lounge chairs and towels. TIP: Skip the expensive and very mediocre breakfast there and head for Mimi’s Cafe just a 5-minute walk away. Our room on the West side of hotel - nice sunset views! Your mission on a spring training trip, of course, is baseball. If your mission is baseball combined with resort, you’ll want to go for a Phoenix or Scottsdale resort. Online research unearthed a FANTASTIC New Mexican restaurant (www.blueadobegrill.com) – which we visited TWICE over three days — smoky, spicy tamales, chiles rellenos, tangy salsa – much of it smoked over pecan wood — DELICIOUS! Nothing to look at from the road, but the ambiance inside is charming and delightful. I recommend stashing a bottle of wine in your checked luggage as there was not much within walking distance -tho we did score a $12 bottle of Kendall Jackson Chardonnay at a nearby convenience store. Do Tough Times Trounce Travel? Hell, no! This Civilized Traveler might be making a few changes to her travel strategy, but eliminate it entirely? I’d rather eat bleu cheese – blech! So, herewith, a few things I’m doing to feed the travel passion during this little economic shitstorm we’re all weathering. 1. Wake up to Mini-Breaks! The four-day weekend is back, for me! I’m jetting off to Mesa, AZ for four days of sun, fun, tangy margaritas, spicy Southwestern food and CUBS spring training games in March, and then planning another long weekend in Portland, OR in May to visit friends and family and explore the food scene that I’ve read so much about. It’s nice to have a little something to look forward to on a fairly consistent basis – and Lords knows reviewing my financial statements is most definitely not doing the trick these days. 2. “Um, Hi, United States, I’m Liz, nice to meet you” – I’m getting to know the nation that some say screwed the pooch on this economic thing, but hey — you can get almost anywhere now on Southwest Airlines for a few hundo, and this country is pretty 4-day friendly when it comes to the get-aways. 3. “Dear Europe: I haven’t turned my back on you entirely! ” Yes, flights are still pricey and who knows where that wacky Euro is on its way to (up? down? sideways?) but I’m using miles to book a trip to Spain this coming fall. Go ahead, roll the roulette wheel of European currency – you never know – the Euro could achieve parity with the dollar by September and that’d be SWEET! 4. And lastly, live vicariously through those who are jetting off to Caribbean resorts and sandy Mexican beaches – I’ve been able to thoroughly appreciate others’ vacation stories and start planning a spring beach break for next year! Hotels – love ’em or hate ’em, any traveler encounters them regularly! Here I share a few tips and ideas for getting the most out of any hotel stay, be it business or pleasure. 3. Unplug the stupid alarm clock/radio in the room. NO MORE will I be woken at 4:15 a.m. by an alarm that either a previous guest set or a maid accidentally set. I use my cell phone alarm clock instead. 4. If there is a coffee machine set-up in the room, call downstairs and ask for MORE coffee packets/ pod things. Because, seriously, you have to make two half-cups to make a whole cup of anything strong enough to get this Princess up and at it in the morning. Don’t forget to ask for extra cream or sugar packets while you’re at it. 5. Pillow fight: I was recently at the Biltmore in L.A. for a tres glam event (the Grammy Awards if you must know) and had my hair all glammed up for the big fete. How I wished I had a satin pillowcase for overnight coiffure maintenance. I called downstairs to see if they had one, but alas, the answer was no. Am thinking of packing my own for my next big Hollywood affair. All in all, the name of the game here is ask, ask, ask. If you do it nicely, you will be rewarded more often than not, I promise.